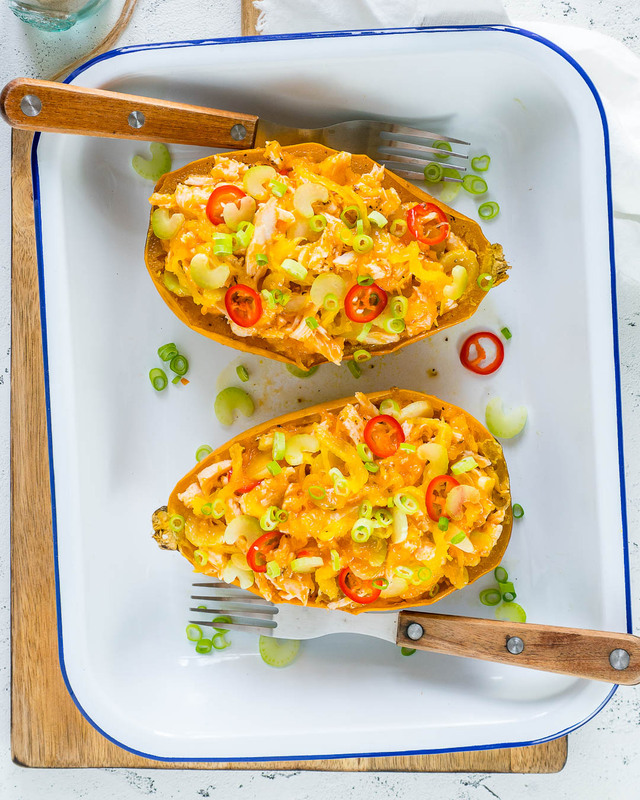 This Buffalo Chicken Stuffed Spaghetti Squash will Blow Minds at Dinnertime! Slice the squash in half lengthwise and scoop out the seeds. Lightly brush the cut sides with avocado oil, or olive oil and sprinkle with sea salt and black pepper to taste. Place the squash cut-side down on a rimmed baking sheet. 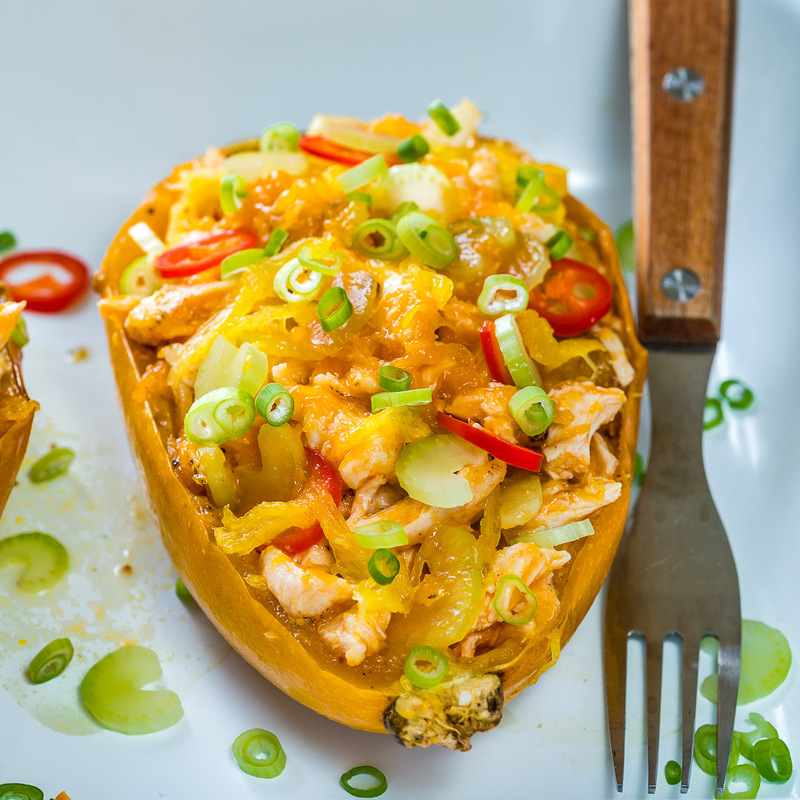 Bake for about 45-60 minutes, until the squash flesh is fork-tender. Baking time will depend on the size of your squash, larger squash requiring a longer cook time. 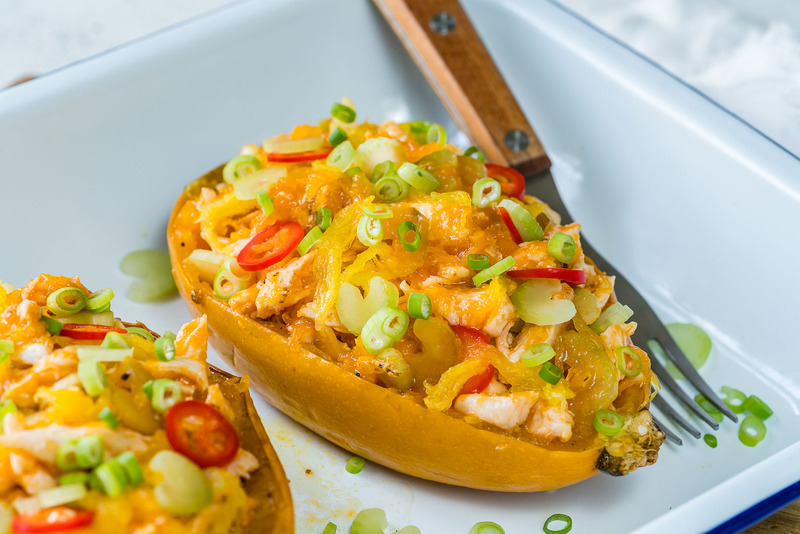 Remove from the oven and set aside to cool then use a fork to gently scrape the spaghetti squash into a large bowl. 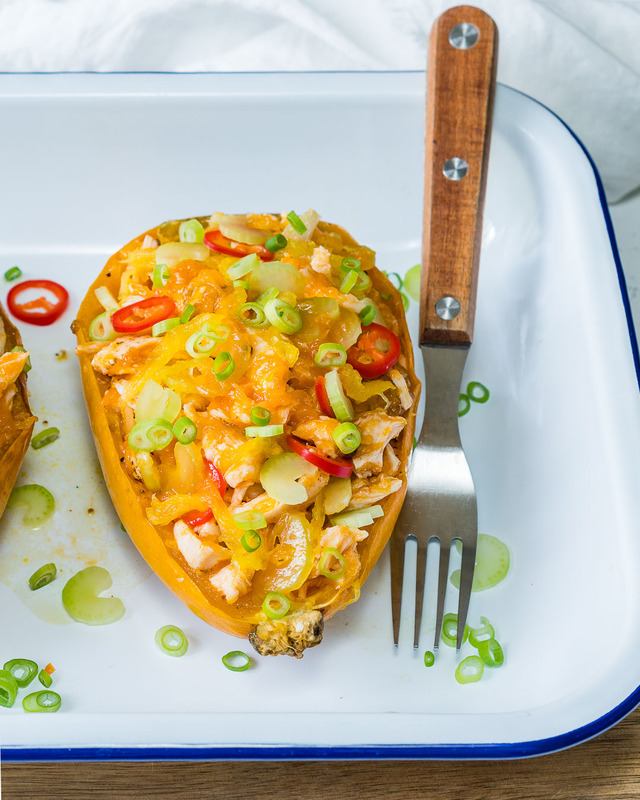 Reserve the squash shells intact. Meanwhile, place a small saucepan over medium heat. Add all the buffalo sauce ingredients to the saucepan. Once ghee is melted, whisk well to combine. 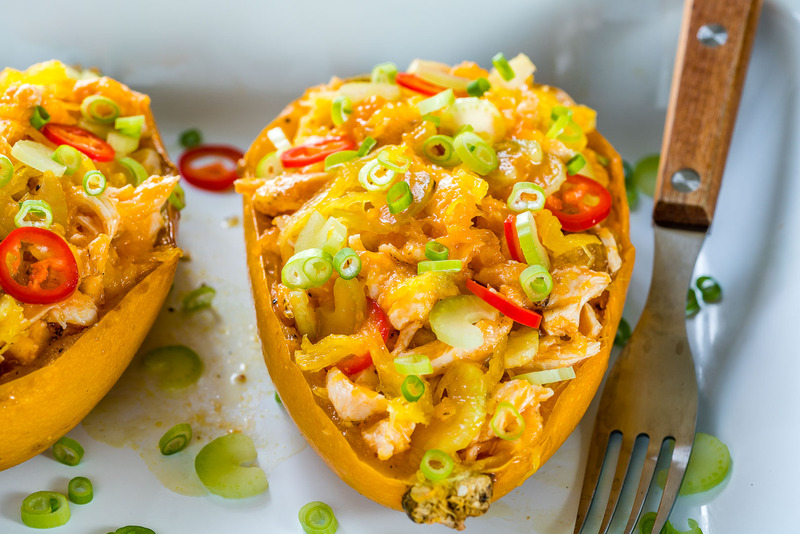 Place squash shreds, cooked chicken, celery, onions, chili and buffalo sauce in a large bowl. Toss well to combine. 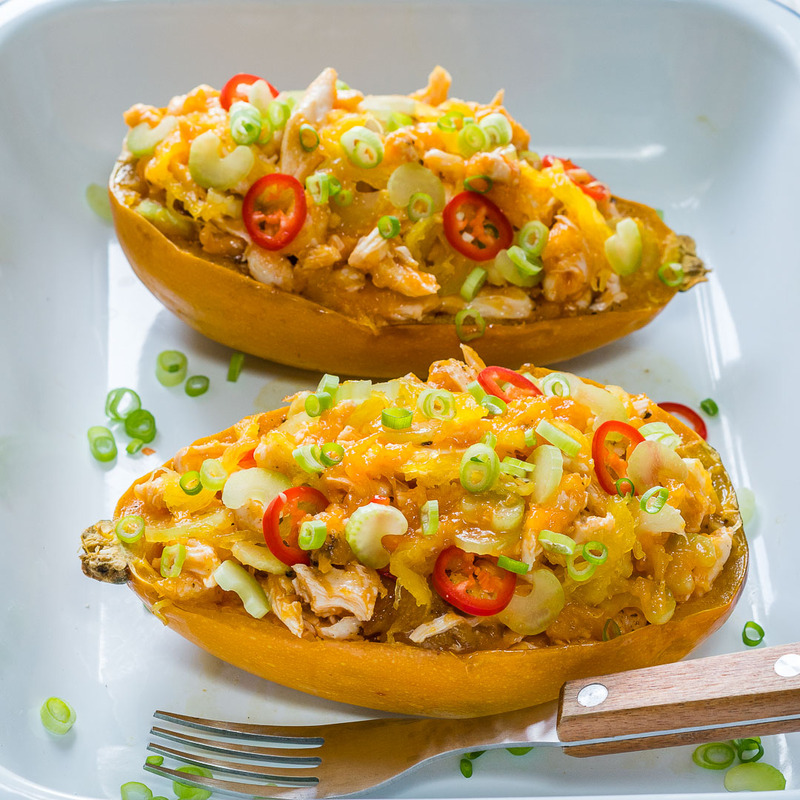 Spoon buffalo chicken mixture into the reserved squash shells. Return the stuffed shells back to the baking sheet and place in the preheated oven for 10 minutes or until heated through.